This paper compares the performance of exhaustive and nonexhaustive M/M/1/N queues with working vacation and threshold policy. In an exhaustive queue, the server slows down its service rate only when no customers exist in the system, and turns to normal service until the number of customers achieves a threshold. However, in a nonexhaustive queue, the server switches service rate between a low and a high value depending on system congestion. To get equilibrium arrival rate of customers and social welfare for the two types of queues, we first derive queue length distributions and expected busy circle. 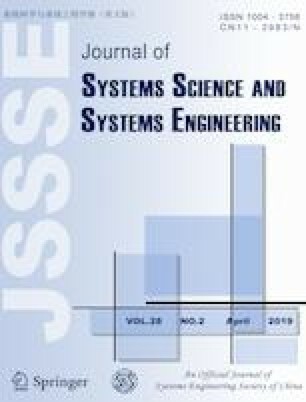 Then, by making sensitivity analysis of busy circle, system cost, arrival rate and optimal social welfare, we find that customers tend to join exhaustive queues instead of nonexhaustive queues, and the optimal threshold in an exhaustive queue is probably inconsistent with the one in a nonexhaustive queue. Moreover, in general, whether to consider system cost or not in social welfare will obviously affect the tendencies of optimal arrival rate and optimal social welfare with the threshold and system capacity for the two types of queues, especially for the nonexhaustive queues, and then affect the final decisions of social planner or system manager. Wei Sun is a full professor in the School of Economics and Management at Yanshan University. She has published more than 40 papers in international leading journals in the areas of operations research, and applied mathematics. She has been involved in several projects supported by the National Natural Science Foundation of China, the National Education Committee Foundation of China, and other foundations. Her research interests include economics of queues, and queueing systems with vacations..
Shiyong Li is an associate professor in the School of Economics and Management at Yanshan University. He is the (co)author of more than 50 papers in mathematics, technique, and management journals. He has been a principal investigator/co-investigator on several research projects supported by the National Natural Science Foundation of China, the National Education Committee Foundation of China, the China Postdoctoral Science Foundation, and other foundations. His research interests include resource allocation in networks, electronic commerce, and economics of queues. Yan Wang received her B.Sc. degree from Yanshan University, Qinhuangdao, China, in 2017. She is currently working toward her M.Sc. degree in the School of Economics and Management at Yanshan University. Her research interests include resource allocation in networks and economics of queues. Naishuo Tian is a professor of mathematics in the College of Science aswell as School of Economics and Management at Yanshan University, Qinhuangdao, China. His research interests are stochastic process, queueing systems with vacations, and performance evaluation models in computer networks. He has published many papers in several international journals including European Journal of Operational Research, OR Letters, INFOR, Naval Research of Logistics, Performance Evaluation, Queueing Systems, Stochastic Models, Applied Mathematics and Computation, Applied Mathematical Modeling, etc. and several journals in China. He has published his monograph entitled Vacation Queueing Models-Theory and Applications in English with Z.G. Zhang.. The authors would like to thank the anonymous reviewers for the useful comments on this work, and the support from the National Natural Science Foundation of China under Grant 71671159, the Humanity and Social Science Foundation of Ministry of Education of China under Grant 16YJC630106, the Natural Science Foundation of Hebei Province under Grants G2016203236 and G2018203302, and the project Funded by Hebei Education Department under Grants BJ2016063 and BJ2017029, and Hebei Talents Program under Grant A2017002108.